Comment: I need an 18 x 24 concrete slab poured in the back corner of my backyard for a 12 x 24 storage shed. Comment: I need an 18' x 24' concrete patio poured in the back corner of my backyard for 12' x 24' storage shed. Comment: I need cement around my pool because my back yard is like a swamp. Bomanite of the Mid-South, Inc.
Cordova Concrete Contractors are rated 4.85 out of 5 based on 81 reviews of 7 pros. 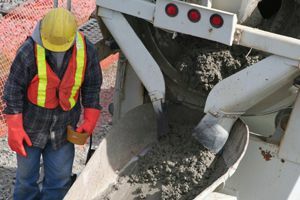 Not Looking for Concrete Contractors in Cordova, TN?